Diploma in Civil Engineering. Facts about Diploma in Civil Engineering. 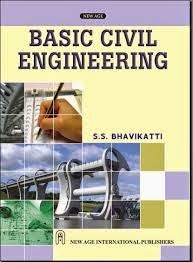 Civil Engineering is traditional study of Engineering in India. The course focuses on enhancing the highly skilled and efficient, qualified and capable candidates in the Civil Engineering field. During the duration of the study, candidates are trained on different topics which comprises of drafting (both computer and manually aided documents), planning, Basics of Highway, Construction technology, costing and estimation, Bridge, Tunnel and harbour. They also concentrate on the overall and exposure for the reinforcement of the construction structures, Material testing, quality control, Entrepreneurship and Management along with some management processes which are taking place. During the Diploma in Civil Engineering, candidates are also exposed to technical front that is how to handle the computer working and getting the designs completed through STAAD and AUTOCAD. In present situation the candidates who have completed their diploma are getting better opportunity with respect to their job in both the sectors (Government and Private Sector). The candidates who have completed their course are also having the opportunity of opening their own consultation firm through which could earn better income for themselves. Candidate must have passed his class 10th or its equivalent examination with at least 45% of marks with the subjects of Maths and Science. They must have studied English as one of their main subject in class 10th. Apart from the above two criteria there are different sections and rules with respect to different states. Like in case of Uttar Pradesh candidate must seek the eligibility certification which is issued by the Department of the Technical Education in Uttar Pradesh or via the Government of Uttar Pradesh. 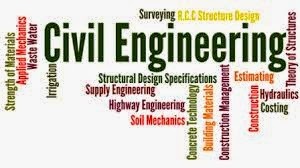 Civil Engineers are in high demand for upholding and repairing the current facilities along with the structure of the construction of the new building. There are numerous career opportunities with regards to this specific field. The candidates who have completed their Graduation could move ahead with the consultation firms, road projects, quality testing labs and so on. They could also take the task of moving ahead with the research work or in opening your own consultancy services. Professionals who are expert in this specific field could move ahead with taking the job profile of the Professor in Universities and colleges. The skilled team members or people are in high demand with respect to their field in countries which are developed and the one who are getting developed. They are engaged in the services like development of all high class buildings, Engineering services, Central or Government consultancy services and so on. Dubai is one of the hottest locations where the demand of the construction team members is highly required and civil engineers could reap lots of benefits. Some of the job profiles which could attract the candidates are mentioned as- Chief Engineer, Researcher, Division Head, Senior Engineer, Project Manager, Independent consultants, Director of publics work, Supervisory Engineers and so on. It is one of the highly sought field and engineers who are employed in the Government jobs are drawing their package of around Rs 8000 to Rs 12000 while superiors are earning around Rs 20000 and so on. The income of professors who are working in Engineering colleges are fixed by the UGC. Kindly post your replay for "Diploma in Civil Engineering."